Header system to fit VE or DE motors. Stepped headers are great for stock, or mildly bolted on motors. 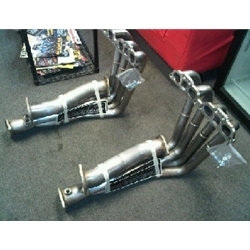 Race Stepped Headers are great for high HP, well built motors making over 230 WHP. Includes V-Band clamp and springs if necessary.